Commercial/Business Litigation | Geraghty, Dougherty & Stockman, P.A. Every business, big or small, has different legal needs and tailored legal representation to address those needs. Our firm is capable of handling a wide range of issues that businesses face, including, but not limited to, contract disputes, shareholder, member and partnership disputes, issues arising out of non-compete agreements, trade secrets misappropriation, and corporate mismanagement. We are equipped to handle any pre-suit alternative dispute requirements such as mediation and non-binding arbitration, and if those avenues fail to result in a favorable settlement, to ultimately take your case to trial. We enjoy getting to know the individuals behind the scenes and establishing a great working relationship between our firm and your company. Geraghty, Dougherty & Stockman, P.A. seeks the best solutions to your company’s legal concerns and is known for its aggressive and personal work with clients throughout Southwest Florida and beyond. 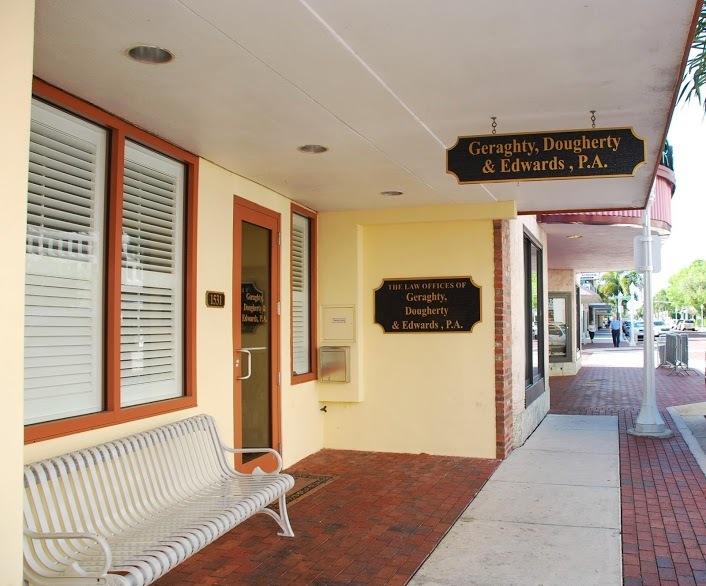 No matter if you have a current legal concern or if you are simply prudently planning for possibilities in the future, we welcome you to come by our office and sit down with our attorneys to determine if Geraghty, Dougherty & Stockman is a good fit for you.